I chose the article “Driving Lessons” by Steve Friedman, which can be found in the 2006 version of the Best American Sports Writing anthology. While I’ve always been a big sports fan, this year as I worked for The Daily Evergreen as the women’s golf beat reporter my interest in golf grew exponentially. However, as I read this article it became less of an article about golf and more about the relationship the author had with his father. In his unique storytelling way, Friedman manages to tie his experiences with his desire to impress/please his father in a way that makes the reader conjure up their own experiences mentally even while reading about Friedman’s. One such example for me is almost identical to Friedman’s, albeit in a different atmosphere. I couldn’t help but laugh inside and tear up a little bit as I remembered my own father trying to explain to me how to understand physics when I was a high school senior. My dad was a double math and science major who graduated from USC, and my math limitations are reached once letters are introduced. As far as I’m concerned, that’s no longer math but rather spelling, and that’s a whole different matter entirely. As the story continues and Friedman relays his struggles to conquer golf and his father’s love for the game, we can feel Friedman’s frustrations in his inability to hit a golf ball adequately. For anyone who’s played a round of golf, or a partial round, or even just gone down to the local driving range, the waves of memories come crashing back. For myself, my frustrations and struggles are still raw, still real, and it is encouraging to read along with someone else. Playing with friends who are further along in their skills for golf can add to the frustrations, so it is refreshing to read of someone else traveling the same path. Friedman also does a masterful job of weaving memories of his past and childhood seamlessly into the present, where he is taking golf lessons from his father a few days prior to them playing a few holes with Friedman’s older brother. Friedman honestly relays his experience and descriptions of his attempts at the driving range. Most of them are horrible, and Friedman does a good job of poking fun at himself, another example that strikes close to home for me. I’ve recently been more committed to swallowing my pride and asking for help when I need it, but prior to this conscious decision, I was stubborn. For whatever reason, I’d decided it was better for me to keep my mouth shut and struggle through experiences. I’d rather avoid admitting I didn’t know what I was doing and need help. Of course, this led to much unnecessary frustration along the way, but my pride and ego were intact, which is what I wanted at the time. But I also feel that I am not alone in my ways, and reading Friedman relate his story struck a chord with me and probably many others who came across this story. Friedman’s storytelling style flows in a natural, casual manner. He doesn’t seem to force any of his stories to fit and has chosen excellent examples of his childhood to share. It is very easy to imagine sitting on his front porch, sipping iced tea and watching a sunset while listening as he waxes poetically about his experiences that he’s shared in this article. One of the reasons I think this story is relatable is because it’s not just a golf story. Golf plays an integral role in the story, but this is also a human interest piece as well. Friedman’s relationship with his father is shared throughout the course of the essay, as well as history of his father’s life. But it wasn’t until after I started writing this review of why I liked it that I realized Friedman never shares his father’s name. Friedman’s ability to develop characters into strong pieces of his weave shows that the man’s name wasn’t necessary, which is another tendency of strong writing. It allows the readers to develop the character in their own minds, all the while being guided by the author to still reach the conclusion that the author intends. It was obvious to me why this piece was chosen as one of the best-written articles because it is relatable to multiple audiences. The story manages to appeal to hard-core golfers, amateur, casual golfers, and people who have no connection to the struggle of golf or the attraction to the game. It’s a great piece about maneuvering around relationships, rather than being defined by them. 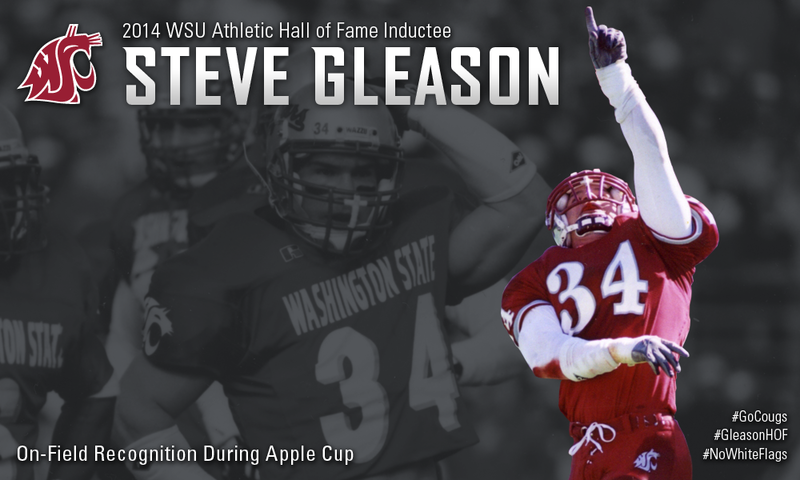 Steve Gleason is a WSU alum and former NFL player who was inducted into Washington State University’s Hall of Fame during the 2014 Apple Cup. Gleason played four years at WSU (1995-99). lettering in both football and baseball during his time here. His accolades were more noteworthy on the football field, as Gleason was selected All-Pac-10 three times and was also honored as an Academic All-Pac-10 4 times while enrolled as well. Gleason went on to play eight seasons for the New Orleans Saints (2000-07), but his story isn’t about his accomplishments on the field. It’s about what he’s done post-career that speaks volumes about his legacy. Gleason went undrafted in the NFL draft, although he was selected by the Birmingham Thunderbolts in the 2001 draft of the now-defunct XFL draft. He signed with the Indianapolis Colts but was cut during the preseason. The New Orleans Saints signed him in November 2000 and he remained with the team for eight seasons. He played in 83 games before his retirement. Gleason wasn’t a superstar, but he was beloved and embraced by the Saints, their fans and the community of New Orleans. When the Saints won Super Bowl XLIV, Gleason wasn’t on the team but after Gleason’s revelation of his diagnosis of ALS in 2011 the team gave Gleason a Super Bowl ring and then-Mayor Mitch Landrieu gave Gleason a key to the city as gifts. On September 25, 2006, the Saints were playing back in New Orleans for the first time since Hurricane Katrina ravished the city in late 2005. Early in the first quarter, Gleason slipped up the middle through the Atlanta Falcons’ line and blocked the punt of Michael Koenen, which was recovered for a touchdown. It was the first TD of the season at home and whipped the sell-out Superdome crowd into an even crazier frenzy. In 2011, Gleason announced he had amyotrophic lateral sclerosis, more commonly known as Lou Gehrig’s disease. ALS is a disease that results in the death of upper and lower motor neurons. Upper neurons are found in the brain and communicate with the lower neurons, which are located in the spine. The disorder affects voluntary movement, as the muscles eventually grow weak and degenerate. Symptoms of the disease are muscle stiffness, followed by twitching and eventually loss of strength and motor skills. Eventually, even acts as simple as breathing require labored effort. Respiratory failure is the most common cause of death, although malnutrition and dehydration can also result when the swallowing muscles are effected. ALS is a disease that can be genetic, although 90-95 percent of cases have unknown causes. Most people who are diagnosed with the disease pass away within five years, although there are some outliers such as Stephen Hawking. Gleason started a foundation during his playing days, One Sweet World Foundation. After Hurricane Katrina, Gleason led workers from his foundation and other foundations as well in distributing “Backpacks for Hope”, which spread supplies and hurricane relief to young victims. Over 7,000 backpacks were donated and distributed overall. Gleason would also donate his hair to “Locks of Love” for cancer victims and spent much of his time in the New Orleans Children’s Hospital. 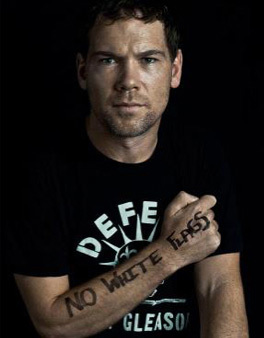 After being diagnosed with ALS, Gleason started two other foundations, The Gleason Initiative Foundation and The Gleason Family Trust, which he later united under the name “Team Gleason.” Team Gleason travels around the country fundraising to help provide care and technology for other people who are also fighting ALS. Team Gleason also helps spread awareness about ALS and tells the courageous stories of individuals who refuse to roll over and surrender to ALS. In 2012, the Saints unveiled a bronze statue of Gleason’s block and entitled the sculpture “Rebirth.” The punt is looked at and embraced by the community of New Orleans as a symbol of the community’s ability to regroup after the devastation of Hurricane Katrina. Saints team owner Tom Benson also said that the statue would also pay tribute to Gleason for the lasting impact he has had on countless others’ lives. Earlier today, the Senate approved a bill that will make voice-operated equipment more readily available for ALS patients who are covered by Medicare and Medicaid. The bill is named “The Steve Gleason Act of 2015”. 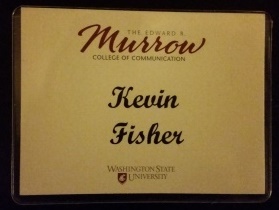 On April 2, 2015 students in the Edward R. Murrow College of Communication were invited to participate in the 40th Edward R. Murrow Symposium. Students were able to be involved in resume critique sessions and were offered opportunities to interact with professionals in different fields. One of the sessions I attended was called “View from the Fifty: How to Blitz the Sports Reporting Field”. This session was a three-member panel that included Eric Johnson of KOMO-TV in Seattle, Art Eckman of HOA, and Janie McCauley from the Associate Press. Each offered different insights from their own experiences throughout their professional careers and offered advice for us aspiring journalists. One of the things that stuck with me was when Art Eckman talked about always being prepared with your research as well as taking advantage of advice of others that had been there before and getting along with those in the industries. He stressed that while there are people without egos that are willing to help you, there will be just as many people that have sizeable egos that do not want to offer assistance. However, Eckman also wanted to impress the fact that there was still opportunity to learn even from those people as well. I also had the opportunity that Eric Johnson held in Studio B. His session, titled “Crafting the Tale”, was a session about the beauty of storytelling and how to capture the moments and describe them. Johnson noted that not everyone was a natural storyteller, but that there was opportunity for everyone to advance their abilities and skills. One message that really stuck with me in this workshop was that everything was worth exploring. Everything has a story that can be told, and that people will be interested in hearing different perspectives. His history as a sports journalist helped teach him which sports he loved, and which sports he had to care about. During all this time, he said that he approached each assignment with such fervor and excitement that he tried to pass along to the viewer. As a sportswriter for The Daily Evergreen, Janie McCauley stopped by the office and I had an opportunity to hear her experiences in a smaller, more focused workshop that was just for the sports department of the Evergreen. McCauley wanted us to know that that her experiences taught her to think outside the box, to be curious about situations. She told a story of how she recruited a pro football player to try his hand at curling. This was during the Winter Olympics in Vancouver. She used this analogy to explain that there is always a different way to tell a story or even make up a new story as well. I really enjoyed the opportunity to see these professionals and was thankful that they took the time out of their busy schedules to come to WSU and offer advice and help us students out. It was encouraging to see those who had come before us to offer their perspectives and thoughts. It is up to us to take their words to heart and earn our way into the work field. The Seattle Mariners host the Los Angeles Angels of Anaheim in game two of the initial three game series. On Monday, April 6th Felix Hernandez and the M’s topped the Angels 4-1 as the Mariners won their ninth-consecutive Opening Day, setting an American League record in the process. Hernandez struck out 10 batters and pitched seven innings, becoming just the fourth pitcher in Major League Baseball history to strike out ten or more batters for the third time on Opening Day. Dustin Ackley hit a homerun and Seth Smith went 3-3 with two doubles and a triple in his Mariner debut. Tonight is the real debut of the LED lighting that the M’s installed at Safeco Field for the 2015 season, as yesterday’s opener was an afternoon game so the benefits of the technology were not readily recognizable. It will be interesting to see if the new lighting does indeed make a difference from before. The Mariners will start left-handed pitcher James Paxton and the Angels counter with left-hander C.J. Wilson. Both pitchers cruise 1-2-3 in the first inning. Paxton with another 1-2-3 inning. Nelson Cruz with a sharp ground ball single to center, his first hit as a Mariner. Richie Weeks adds his first hit as a Mariner, a ground ball to left field. After the first three innings, both pitchers are in control, although neither has shown the dominant stuff they’ve displayed in the past. However, the Angels have managed only one walk off Paxton and the Mariners have mustered only two singles of Wilson. Paxton has thrown 39 pitches, Wilson 40 through three innings. Angels 0, Mariners 0. Paxton wobbles a bit in the fourth, as Pujols doubles to left field and Freese homers on a fastball right down the middle to right-center. Cron strikes out, but Aybar hits an infield single and advances to second base on a wild pitch before Paxton comes back to strikeout Iannetta to end the inning. Angels 2, Mariners 0. Paxton strikes out Trout to end the 5th inning. Trout is now 1-7 with four strikeouts and a homerun against M’s pitching this year. Wilson has retired the last 17 Mariners in a row, as Miller chases a ball in the dirt to end the eighth inning on a strikeout. Wilson has given up two singles and one walk while striking out two over his eight innings of work. Yoenis Medina strikes out Cron with a wicked curveball. Medina might have a top-5 curveball in the American League. It just froze Cron as it broke over the outside corner of the plate. Left-hander Tyler Olson is in to make his major league debut, facing Erick Aybar. Olson is from Spokane, Wash. and attended University High School. Olson induces an inning-ending double play on his first pitch and now the M’s are down to their last three outs. The Angels bring in closer Huston Street to try to close out the victory. Weeks strikes out looking, Jackson strikes out swinging and Canó lines out softly to right to end the game. The Angels even up the series and win game two 2-0 over the Mariners. Wilson earns his first win and Street gets his first save of the season. Angels 2, Mariners 0. Watching the game unfold it was ghost of seasons past, as the M’s could only manage two hits off Wilson and three base runners total. Wilson didn’t really overpower the Mariners hitters but shut down the last 17 batters he faced. Paxson pitched well, outside of a five pitch sequence in the fourth inning that saw him surrender the double to Pujols and the opposite field blast by Freese which proved to be the difference in the ballgame. The rubber match takes place 7:10 p.m. local time Wednesday, April 7th as the Mariners send Hisashi Iwakuma to the mound and the Angels counter with Matt Shoemaker.